The issues of job loss, outsourcing, trade and the economy are front and center in this year’s elections, especially in Ohio. Yet there hasn’t been nearly enough attention on the role of Wall Street investors and hedge fund managers in the destruction of American jobs here. These influential figures from New York’s wealthy elite are also among the biggest contributors of campaign cash to politicians who have harmed Ohio’s working families and undermined the economic interests of our communities. Indeed, here in Ohio, Wall Street hedge fund managers were the lead players in the elimination and outsourcing of thousands of jobs, and now they’re among the top Republican donors in Ohio’s U.S. Senate race. Wall Street hedge fund managers including billionaires Paul Singer, Dan Loeb and Nelson Peltz have targeted Ohio companies for job cuts, layoffs, large-scale outsourcing, elimination of pension and healthcare benefits, and manipulation of laws and regulations to dodge their responsibility to clean up poisonous toxic waste dumps. Paul Singer and Dan Loeb’s takeover of Delphi Automotive outsourced thousands of American manufacturing jobs, eliminated 900 Ohio jobs and cut Delphi retirees’ pensions by 30-70% — and made them a 3000% profit. After getting rich through cutting and outsourcing Ohio jobs, these hedge fund managers and their allies have become some of the biggest donors in this year’s Ohio Senate race. 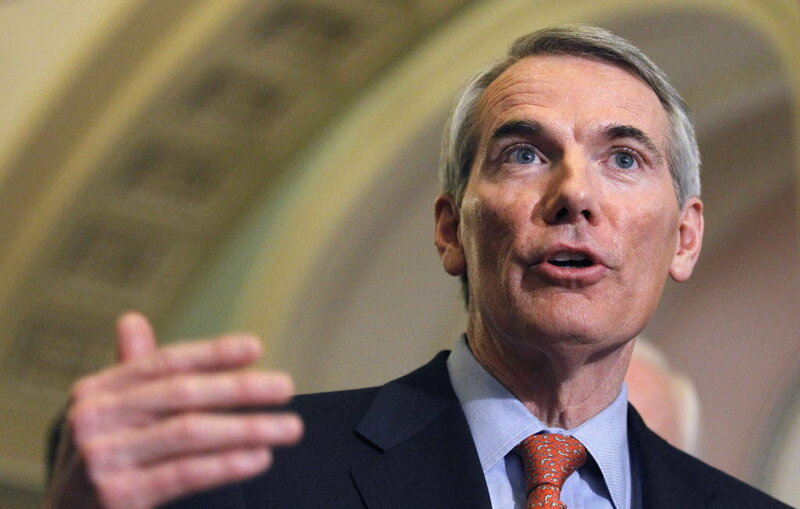 Singer alone has contributed three-quarters-of-a-million-dollars to the most prominent pro-Rob Portman Super PAC, and the hedge fund crowd has donated more than two million dollars in direct support of Portman so far. It’s time for Ohio families, community groups, unions and faith leaders to fight back against the hedge fund attack on our jobs, our neighborhoods, and our ability to achieve and hold onto a decent standard of living. With this report, Ohio Hedge Clippers is launching a statewide campaign to explain to the public – and to voters in this year’s elections – how Wall Street investors and hedge fund billionaires are destroying our economy, corrupting our government, exploding inequality and hurting our families and communities. Hedge Paper No. 35 is the first in a series of exposes on the destructive impact of hedge fund and private equity billionaires on Ohio – and how regular working people can fight back. There is no question that the Great Recession hit Ohio hard – and that voters are angry about job losses as they prepare to cast their votes in this year’s elections. The Buckeye State led the nation in foreclosures at the onset of the economic crisis and lost over 400,000 jobs between 2007 and 2009. While Wall Street has fully recovered and the 25 highest-earning hedge fund managers made a combined $12 billion last year, Ohio’s median income is more than 20% lower than it was in 2000. One of the most devastating and lasting impacts of the economic crisis has been the loss of middle- and working- class jobs. According to the Department of Labor, Ohio lost 8.7 million jobs from February 2008-2010 and unemployment rose from 4.7% in November 2007 to its peak at 10% in October 2009. In Ohio, most metro areas are not expected to recoup recession-era job losses for years to come. And these job losses create a ripple effect. For towns across Ohio, job loss has meant a decrease in population and the challenges that come with a shrinking tax base, such as massive cuts to school funding. Of course, many factors contributed to Ohio’s massive job loss and lack of economy recovery. For this report, Hedge Clippers Ohio reviewed the impact of hedge fund “activist investors” on the state’s job landscape and economy. The term “activist investor” refers to hedge fund managers who buy up significant stakes in some of the nation’s largest companies and then use their influence as major shareholders to push for changes in the company such as stock buybacks, spinoffs and acquisitions, and cost cutting. These investors often use aggressive methods couched in arcane language to push for business strategies to enrich shareholders at the expense of workers. If an activist investor says that two companies have “cost synergies,” for instance, it often means that cost savings can be achieved by plant closures and laying off workers when they merge. Sharp observers agree that investments by “activist investors” drive job cuts, wage reductions, benefit elimination and outsourcing at targeted corporations. 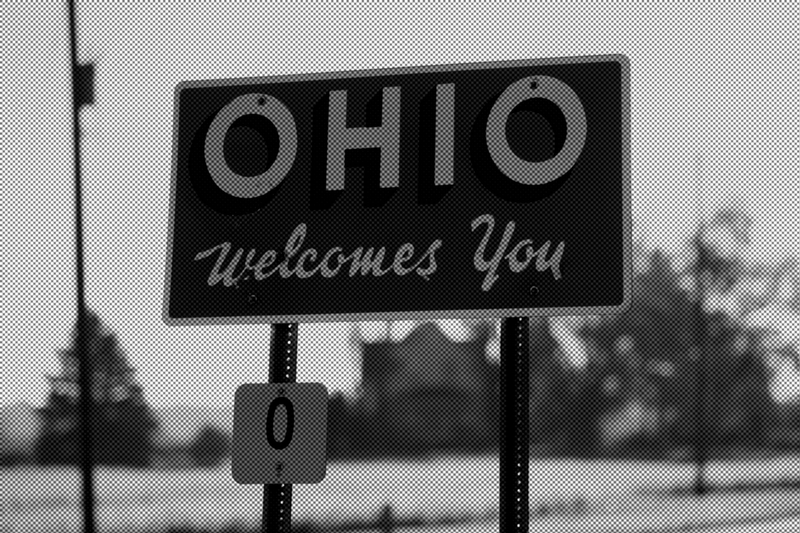 Like many other states across the U.S., Ohio has been collateral damage in several high-profile hedge fund activist campaigns that have cut jobs, slashed paychecks and hurt local families and communities. Hedge fund billionaires including Paul Singer, Dan Loeb, and Nelson Peltz have made or stand to make hundreds of millions of dollars in profits at the expense of Ohioans through laying off workers, shipping jobs overseas, and cutting pension and healthcare benefits—all while attempting to buy Ohio’s elections by donating millions of dollars to right-wing politicians. While most of the country was reeling from the biggest economic downturn since the Great Depression, Wall Street billionaires Paul Singer and Dan Loeb made a 3000% profit off of one auto parts manufacturer. How did these billionaires attack Ohio? By outsourcing thousands of Ohio jobs, cutting hundreds more, slashing benefits, pocketing massive amounts of public money from the auto industry bailout and transferring the company’s pension obligations to U.S. taxpayers. Why did these billionaires attack Ohio? To make themselves even richer. Let’s take a quick look at Singer and Loeb – their wealth, their power, their politics, their outrageous luxury consumption – and then we’ll dig into how they hurt Ohio. Paul Singer currently has a personal fortune of $2.2 billion and a reputation as one of the most ruthless hedge fund managers on Wall Street. Singer, whom Fortune magazine calls “a passionate defender of the 1%,” heads the firm Elliott Capital Management, which was recently in the news for using vulture tactics to make $2 billion from Argentina’s economic collapse. He has used similar tactics to make billions of dollars from economic collapse in Greece, Argentina, Peru, and Congo-Brazzaville. This election cycle, Singer is fourth on the list of the top individual contributors to all Super PACs, having donated more than $14 million to conservative candidates, including $500,000 to influence the Ohio U.S. Senate race through Rob Portman’s Super PAC. And he’s been a top-ranked donor to super-conservative candidates across the U.S. for years. Singer also leads and contributes to numerous right-wing think tanks. He is the Chairman of the Board of the Koch-funded Manhattan Institute, which advocates for a harsh pro-austerity, pro-fossil fuel, and anti-union agenda. As of 2012, Singer has two Manhattan apartments, one on Park Avenue and one on Central Park West, as well as a ski chalet in Aspen, Colorado and an office complex on “Billionaire’s Row” in Manhattan. Dan Loeb currently has a personal fortune of $2.6 billion. 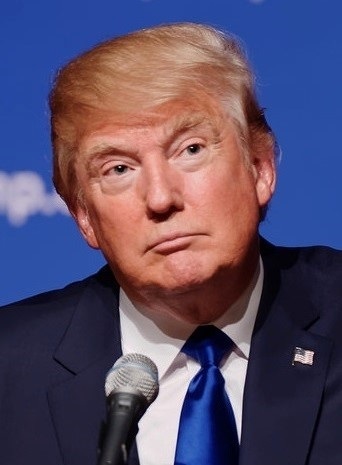 At work, he is known for his high-profile “activist” takeovers of companies, a model in which his firm, Third Point Management, builds a stake in a company and then uses a combination of public pressure, backroom dealing, and other maneuvers to ensure that the company’s board and management implements his favored strategy. At play, he’s known for his yachts, his yoga practice, his high-rise apartment overlooking Central Park and his massive mansion on a pristine stretch of ocean beach in the Hamptons, which has been the site of protests in recent years. His previous corporate targets have included Yahoo! and Sotheby’s, both of which underwent mass layoffs at Loeb’s direction. 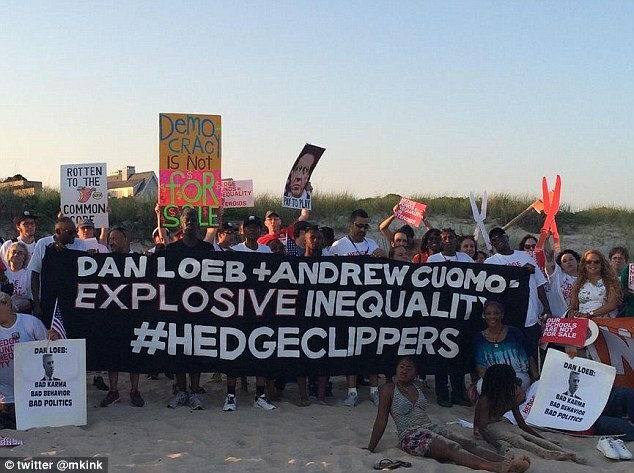 Loeb, like his hedge-fund billionaire peers, makes millions of dollars in campaign contributions every year. Loeb is known for his outrageous luxury lifestyle. He owns a 200-foot mega-yacht for which he reportedly paid $50 million. He previously owned a $100 million penthouse at 15 Central Park West, and currently summers in an East Hampton beach house designed by Rafael Viñoly. Hedge fund managers like Singer and Loeb scored big on their Delphi investments by buying in as “vultures” when the company was going through bankruptcy and assets were cheap, and then ramping up pressure on the company to close plants, ship jobs overseas, and maximize profits. How Did Two Wall Street Billionaires Make Huge Profits Off Of Delphi Automotive While The U.S. Economy Was Crashing? The hedge fund managers were not the executives leading the company, but they were the people that the executives had to answer to – that’s how hedge fund “activist investing” works. At the height of the auto bailout negotiations, hedge funds including billionaire Paul Singer’s Elliott Management; billionaire Dan Loeb’s Third Point; Greenwich, CT-based Silver Point Capital; and billionaire John Paulson’s Paulson & Co. acquired a controlling share of Delphi’s bonds. 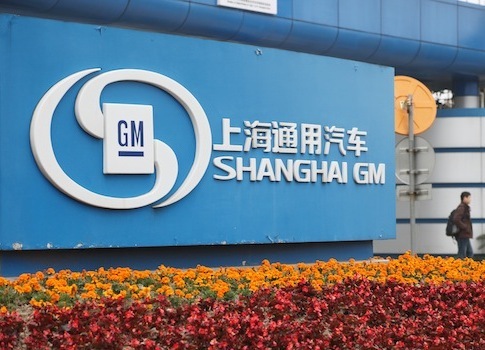 According to a sworn deposition by Delphi’s CFO John Sheehan, the hedge fund managers commissioned their own analysis suggesting that the entire GM bailout would fail if the Treasury Department did not give in to the hedge fund managers’ demands on Delphi. Delphi Board Chair John Krol specifically notes how the hedge fund managers took control of the company in a recounting included in the book Eight Dollars and a Dream: My American Journey. In other words, the hedge funds had tremendous power to determine the future of the company and its workers. And ultimately, the hedge funds were successful in pushing for their familiar outcome: massive profits for hedge fund billionaires, layoffs for Ohio workers, and devastation for Ohio communities. When hedge funders began buying up control of Delphi, there were 29 Delphi plants in the United States. Only four now remain here. Delphi was reincorporated abroad, and now has only 5,000 employees in the United States and 134,000 abroad. Most Delphi manufacturing jobs are now located outside the U.S., in Mexico, China and other countries in Asia Pacific, Eastern and Western Europe, South America and Northern Africa. Delphi is a former General Motors subsidiary that manufactures auto parts integral to GM’s production line. It was spun off from General Motors in 1999, but struggled financially on its own, eventually declaring bankruptcy in 2005. That’s when it first attracted vulture funds. 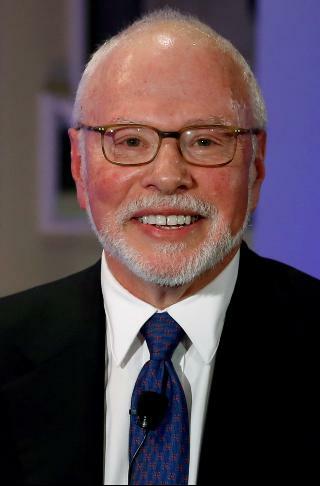 Singer’s Elliott Management bought Delphi’s debt dirt-cheap — about 20 cents on the dollar of its face value — as did John Paulson’s Paulson and Co., Silver Point Capital, and other vulture funds. By 2009, the auto industry bailout negotiations were in full swing – and the billionaire hedge fund vultures went in for the kill. 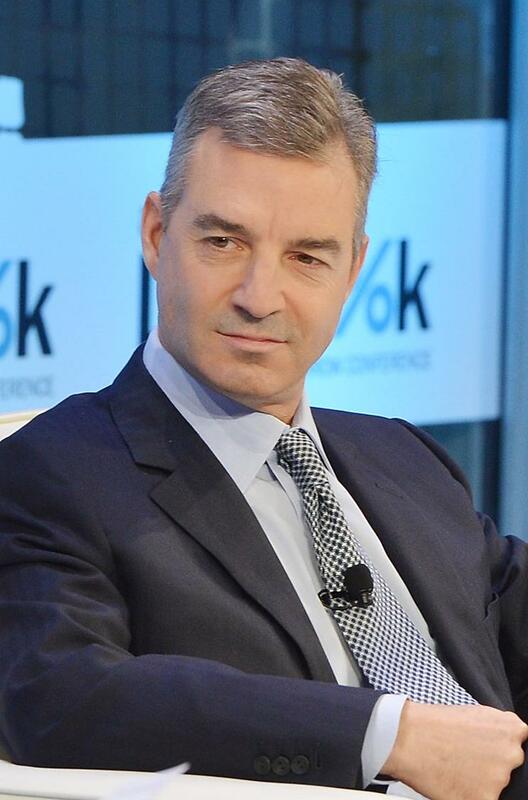 Seeing an opportunity, Singer and other hedge fund managers including Dan Loeb doubled down on their investment in Delphi, using their bonds to buy a controlling interest in Delphi’s stock, for which they paid, on average, an equivalent of only 67 cents per share. Led by Singer, the hedge funds flat-out rejected a bailout deal that the United Auto Workers and the Department of Treasury jointly proposed. That plan would have kept 15 of 29 Delphi plants in the U.S.A. open and unionized, and would have saved thousands of American jobs. 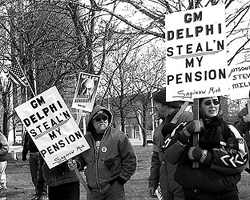 The hedge fund vultures controlling Delphi had tremendous leverage in these negotiations, because a bailout of GM could not be successful without also saving Delphi, since the parts Delphi created were integral to GM’s production process. Singer and the other hedge fund vultures wanted more public subsidies for the company and reductions of its obligations to workers like collective bargaining agreements, union wages, health care, and defined benefit pensions. Eventually, Paul Singer and his fellow hedge fund friends got the deal they wanted – and Ohio workers got the shaft. Among the key concessions to Singer and the hedge fund vultures: the federal government sent more than $12.9 billion to Delphi. The largest chunk of that $12.9 billion was $5.6 billion from the government’s Pension Benefit Guaranty Corporation, essentially transferring the company’s pension obligations from Delphi’s investors to U.S. taxpayers. Even before that deal was reached, in February 2009, Delphi’s bondholders terminated health insurance for Delphi’s nonunion pensioners. 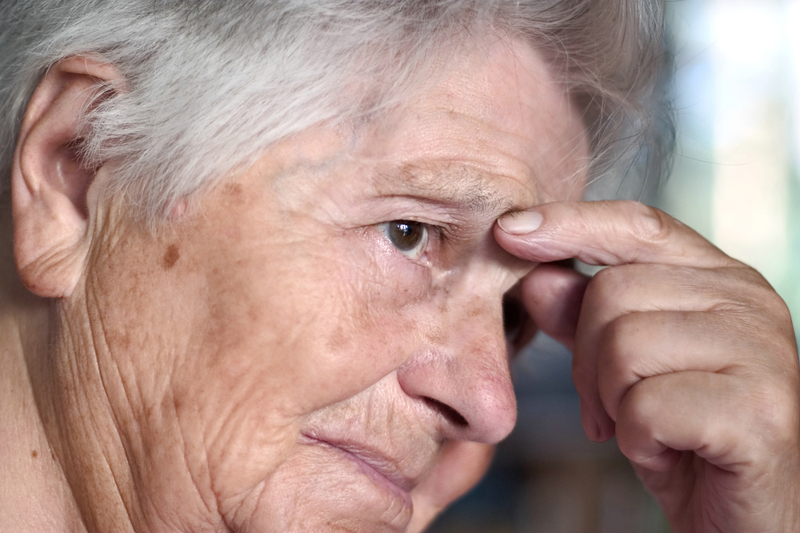 All in all, salaried Delphi retirees’ pensions were reduced 30-70%. In 2011, Singer took Delphi public at $22 a share, making a sky-high profit of more than 3000% when compared to the 67 cents per share that he originally purchased the stock for. All in all, Singer’s fund made $1.29 billion in profits (about 44 times their original investment) and Third Point made $390 million in profits – a massive score of over a billion and a half dollars from job cuts, outsourcing, abandoned promises and big corporate welfare subsidies. Those astronomical profits would have been impossible without the hedge fund moves to demand billions in taxpayer bailouts and corporate welfare, eliminate guaranteed pension obligations, and massive outsourcing and shipping jobs overseas to decrease labor costs. Ohio’s working class has been hard hit by the outsourcing of manufacturing jobs. According to the Bureau of Labor Statistics, from 1994-2005, Ohio lost 31.1% of its manufacturing jobs, equivalent to 307,560 positions. And Delphi workers were no exception. From 2008-2011, at least 603 Delphi workers in Dayton, Moraine, Kettering, and Vandalia, Ohio were laid off. 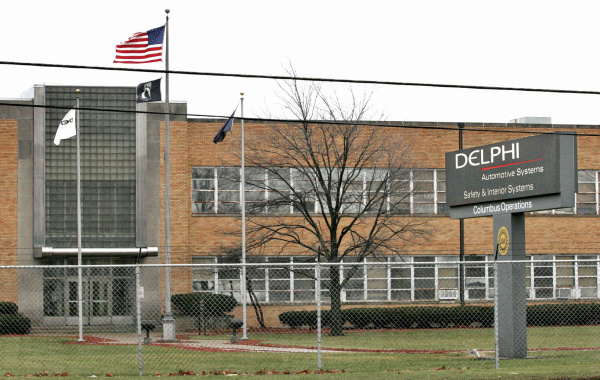 One Delphi facility remains in Warren, Ohio. 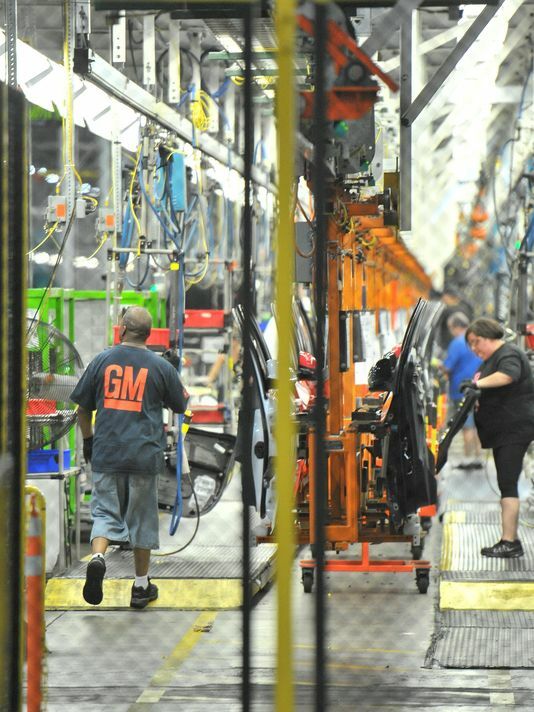 But the quality of jobs at the Warren facility has steeply decreased in recent years. The complex is half the physical size it once was. 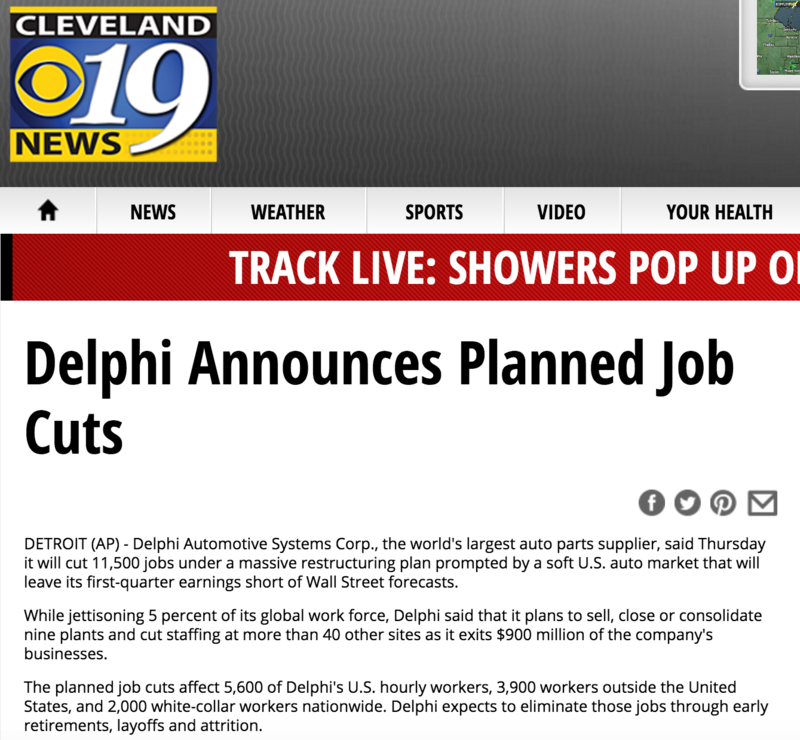 From 2008-2014, at least 325 employees were laid off from Delphi’s Warren facility. 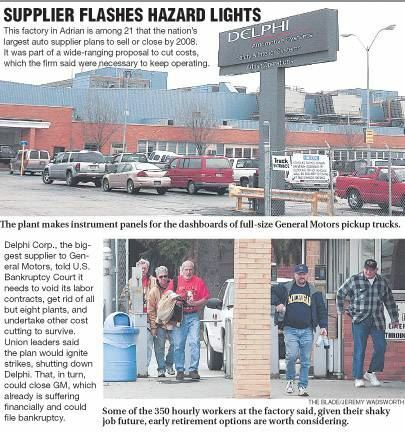 In 2008, 99 employees at Delphi’s Warren plant were laid off. 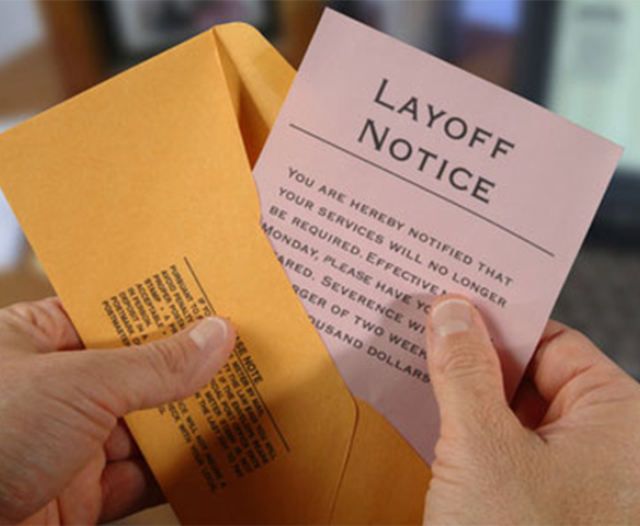 An additional 200 employees were laid off in 2009 and, again in 2014, 26 employees were laid off. 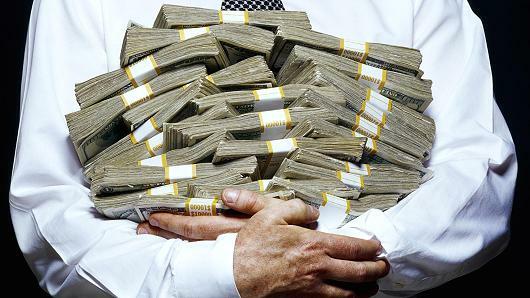 Meanwhile, Paul Singer and Dan Loeb grew their fortunes to $2.2 billion and $2.6 billion respectively. Seven years after Singer and Loeb made their millions off of Delphi, another hedge fund “activist investor” corporate deal is making headlines in Ohio. This time, the companies at stake are chemical giants DuPont Co. and Dow Chemical Co.
Last December, the former rivals announced that they would merge into a chemical behemoth worth more than $120 billion before splitting up into three distinct companies. the result of “activist investor” pressure by hedge fund billionaires attacking both companies. 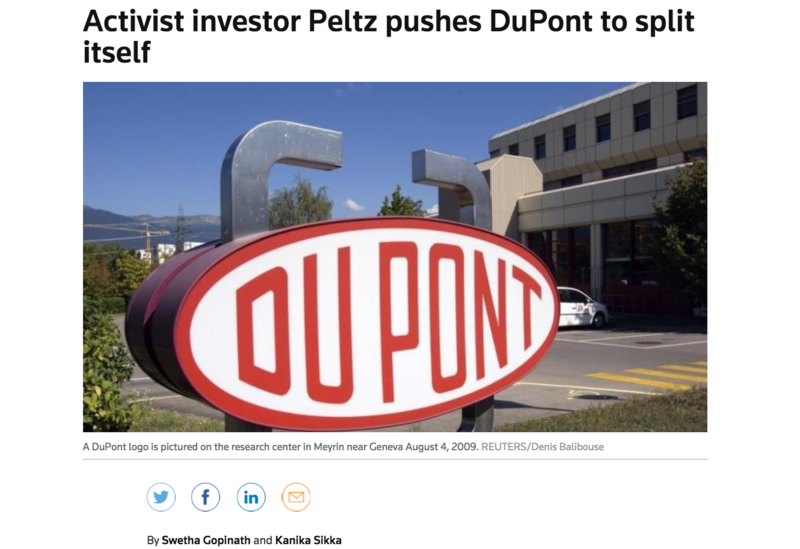 At DuPont, the activist investor is billionaire Nelson Peltz, whose hedge fund Trian Fund Management LP currently owns a 2.2% stake in DuPont currently worth about $1.2 billion. At Dow, the activist investor has been Dan Loeb, who currently owns a 1.8% stake in Dow, equivalent to about a billion dollars. 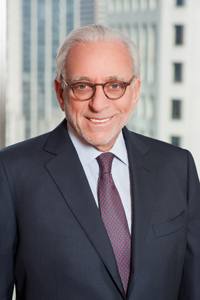 Peltz in particular was reported to have played a key role in planning and executing the merger after a frequently bitter battle with DuPont executives that started in the fall of 2014 . Nelson Peltz, who is worth $1.35 billion, is a certified “corporate raider” who has waged activist campaigns at companies including Wendy’s, Heinz, and PepsiCo. Peltz and his ex-supermodel wife Claudia Heffner own a Palm Beach mansion appraised at $94.9 million and frequently on lists of the most expensive oceanfront homes in America. He is a major Republican donor and has given $50,000 to Donald Trump’s joint fundraising committee, “Trump Victory Fund,” this election cycle. What Does The Dow-DuPont Merger Mean For Working Class Ohio? Last month, Dow and DuPont shareholders approved the massive merger, despite concerns that it might violate antitrust law. While the exact effects of the merger remain to be seen, it is clear that the hallmarks of the Delphi debacle will be present once again: job loss, pension and healthcare cuts, and hedge fund billionaires making millions at the expense of working-class Ohioans. Upon announcing the merger, Dow and DuPont released a statement saying they planned to cut at least $3 billion a year in expenses. Judging from past experiences and the companies’ use of the word “synergy,” it is probable that a significant percentage of that $3 billion will come from shutting down offices and plants and laying off thousands of people. And although the merger has not yet been completed, Dow and DuPont are laying off more than 10,000 workers – and preparing even more cuts to come. These 10,000 layoffs do not even count towards the companies’ proposed $3 billion in savings, which will begin after the merger officially closes. After announcing the merger at the end of 2015, DuPont also announced it would eliminate 5,400 jobs (10% of its global workforce) in the lead-up to the merger in an attempt to cut $700 million in spending. This June, Dow announced it would cut 2,500 jobs in addition to the 2,200 jobs the company announced it would cut earlier in the year. 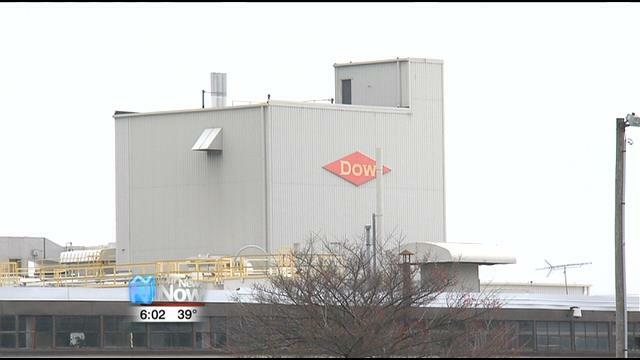 Thus far, two Dow plants– one in Greensboro, North Carolina and one in Japan–are slated for closure. There are currently at least 2,023 Dow and DuPont workers in Ohio whose jobs are at risk in the merger orchestrated by hedge fund billionaires Nelson Peltz and Dan Loeb. Dow has eight facilities in Ohio in Cincinnati, Dayton, Findlay, Ironton, Hebron, North Olmsted, Solon, and West Alexandria. 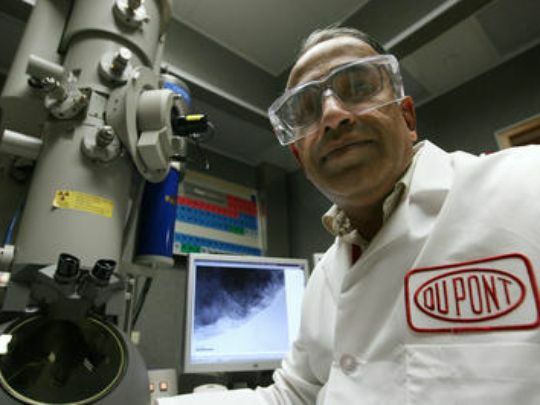 DuPont has five facilities in Ohio in Circleville, Cleveland, Dayton, Fort Hill, and Grand Rapids. The Circleville DuPont location alone employs 540 workers and 200 full-time contractors. Dow and DuPont retirees have begun to worry that their pensions and healthcare benefits will be on the chopping block. Pensions for about 240,000 people are at stake in the Dow-DuPont merger. DuPont has more than 140,000 participants in its U.S. pension plan, and an estimated 81,000 DuPont retirees who count upon supplemental health insurance from the company. Dow has 100,000 pensioners. DuPont executives have been tight-lipped when it comes to discussing the company’s pension and health benefits plan post-merger. 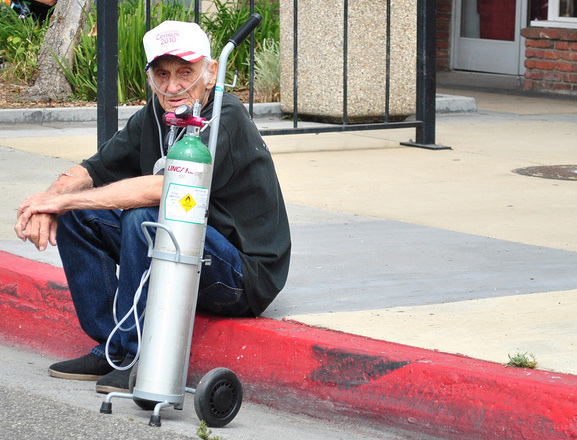 Although the company filed a SEC disclosure promising that the pension and retirement plan would remain and separate legal entity from DuPont and be unaffected by the merger, the corporation has been ”less than forthcoming about retirees’ health benefits,” saying the company could only tell retirees that details on their 2017 health benefits would be communicated in the fall of 2016, several months after the shareholder vote to approve the merger. Employer agreements to provide retiree health benefits are not protected to the same extent as pensions under the Employee Retirement Income Security Act. Billionaire Nelson Peltz has a track record of destruction and abandoned promises when it comes to retiree health benefits at companies he attacks. In 2006, he began a proxy war at Heinz that resulted in his joining the corporation’s board of directors, along with ally Michael Weinstein. In 2010, while both were active directors, Heinz stopped providing retirees with health insurance and created a “reimbursement account,” starting with a $7,000 contribution the first year, eventually lowering it to $3,500. “Questions remain about the pension plan…Combined, Dow and DuPont will have about $50 billion in retirement assets. However, it is unclear if either company has enough funds invested in their pensions to cover the costs. Dow, according to its 2015 annual report, has $18.6 billion in assets to cover its $25.6 billion pension obligation. Are Hedge Fund Deals Getting DuPont Off The Hook For Causing Cancer in Ohio and West Virginia? 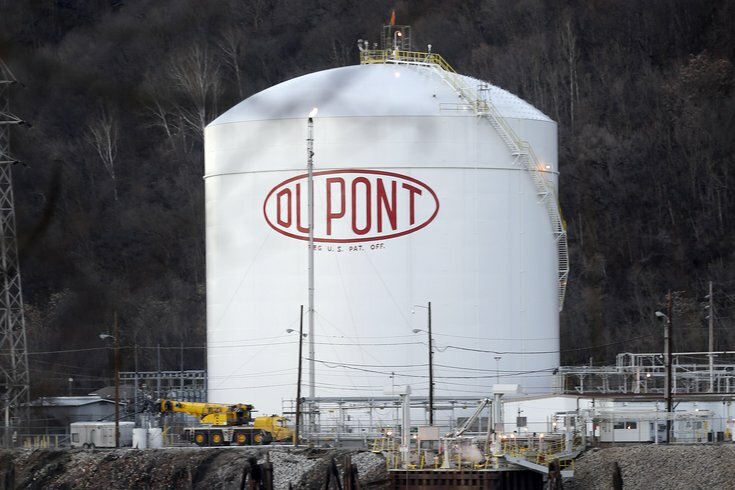 Last month, DuPont was found liable for a man’s testicular cancer in the second of six “bellwether” lawsuits to go to trial over a toxic Teflon chemical manufactured by DuPont spinoff Chemours Co. that has been found in Ohio and West Virginia waters. There are over 3,500 plaintiffs who claim they have gotten sick due to contamination from DuPont’s Teflon ready to go to trial if the bellwether suits succeed. Ohio’s “Chemical Valley” has been hard hit by the toxic health effects of C8, the toxic chemical found in Teflon . The six bellwether lawsuits mark an important first phase in holding DuPont accountable for its environmental contamination, but some are raising concerns that DuPont will use the merger’s restructuring to dodge legal liabilities related to the lawsuits as another Peltz and Loeb-approved cost-cutting maneuver. Billionaire hedge fund managers buy influence in our political system by contributing millions of dollars in campaign contributions every election cycle. This year’s Ohio Senate race between Democrat Ted Strickland and Republican incumbent Rob Portman has attracted significant hedge fund and private equity money. While this report does not include a comprehensive analysis of all campaign contributions, it appears that hedge fund and private equity managers favor Republican Portman over Democrat Strickland. By comparison, Strickland does not currently have a single-candidate Super PAC. The table below lists prominent hedge fund and private equity managers’ contributions to the “Fighting for Ohio” Super PAC, as well as Portman’s campaign committee and joint fundraising committee. Hedge fund and private equity managers have also given enormous amounts of campaign cash to national Super PACs spending money in Ohio in support of Portman, such as the “Senate Leadership Fund” which recently announced it will spend $8.1 million in September and October to pay for television advertising in Ohio supporting Portman, and the “Freedom Partners Action Fund which has spent $6,937,318 attacking Ted Strickland this election cycle. The table below shows contributions from prominent hedge fund and private equity managers to Super PACS spending to support Portman. Ted Strickland does not have a single-candidate Super PAC comparable to Portman’s “Fighting for Ohio,” but he has received donations from hedge fund managers to his campaign committee. The table below shows prominent hedge fund managers who have contributed to Strickland’s campaign committee. Strickland is also benefiting from hedge fund and private equity managers’ campaign contributions via the Senate Majority PAC, a national Super PAC dedicated to electing Democrats running for Senate. 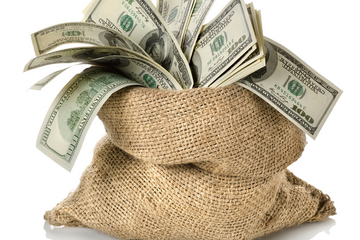 It has spent $1,816,080 in support of Strickland. Some of the top finance sector donors to the Senate Majority PAC are below — these financiers have donated a total of at least $5,650,000 to the Senate Majority PAC. From Cincinnati to Cleveland, Wall Street investors and hedge fund managers are coming into our state to buy elections and increase their wealth at our expense. Across Ohio, a close-knit group of billionaires plays a growing role not just in our government, but also in our economy, education system, criminal justice system, the environment, and much more. We’re tired of this billionaire class advancing their agenda in our cities and towns. They’re funding Super PACs to help politicians keep wages low, they’re destroying good jobs, they’re hiding behind tax loopholes, and they’re trying to dismantle our public schools.  Ohio Hedge Clippers is our campaign to fight back against their greed and destructiveness. Through hard-hitting research, communications, direct action and digital engagement, we unite working people, diverse communities, grassroots activists, students, and others committed to reclaiming our democracy and creating a better, fairer Ohio for everyone who lives here. 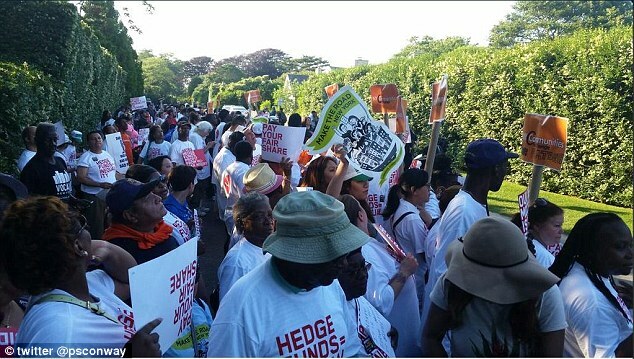 Our work is part of the national Hedge Clippers campaign, which has undertaken similar efforts to combat the harmful influence of billionaires in states throughout the country. “Prominent’ refers to hedge fund and private equity managers who have executive positions at the funds, founded the fund, etc.